Chicago 2019: We Got Videos, Yes We Do! To wrap up our coverage of the 111th Chicago Auto Show, we now turn to Josh Dvorak and FlecsMedia for a series of videos from McCormick Place. Josh and Veronica Krawiec have been on our team for last year’s show. This year, we had a few ideas in mind. They appear to be random, but we think these are some of the headlines you will find at any auto show across North America. 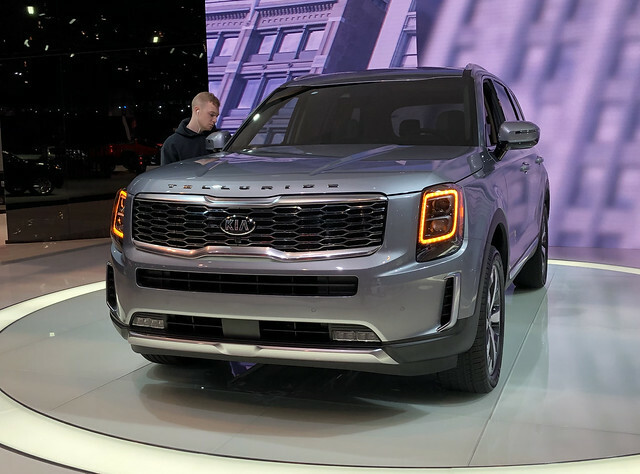 We start with the new 2020 Kia Telluride. There was a ride-along venue inside of the hall to demonstrate the ability of Kia’s newest SUV to go off-road. These concepts were created to show how tough the Telluride is, so it gave us an opportunity to do a video with these custom Tellurides off. This video was the only one we did in one complete audio take. The next video is a vehicle co-developed on the same platform – alongside the Kia Telluride. The 2020 Hyundai Palisade was designed with a bit more upmarket flair combined with family friendliness. It is also a stylish number, and, luckily, we got the top of the range to show off. The Palisade offers a lot of promise in the mid-sized, three-row SUV market. We certainly liked what we saw and hope to experience it further later this year. Then we get to the award-winning and hot selling 2019 Ram 1500. Taking what I learned from the review published on this site, it was designed to share that learning with you. Mostly to confirm some unique design features and a bit of an explanation on the new eTorque system. The full-sized pickup truck market has seen a major turn as the Ram is now outselling the Chevrolet Silverado. I hope this video can tell the story as to its success. Last, but not least, the Chicago Auto Show was the place where the new 2019 Volkswagen Jetta GLI debuted. Thi8s video was aimed right at you – the Volkswagen enthusiast readers/followers/friends/etc. I gushed at the fact that the GLI gets GTI power and Golf R brakes, making this the most enthusiast-centered GLI ever created. Happy 35th Anniversary, Jetta GLI. You’re now the party!